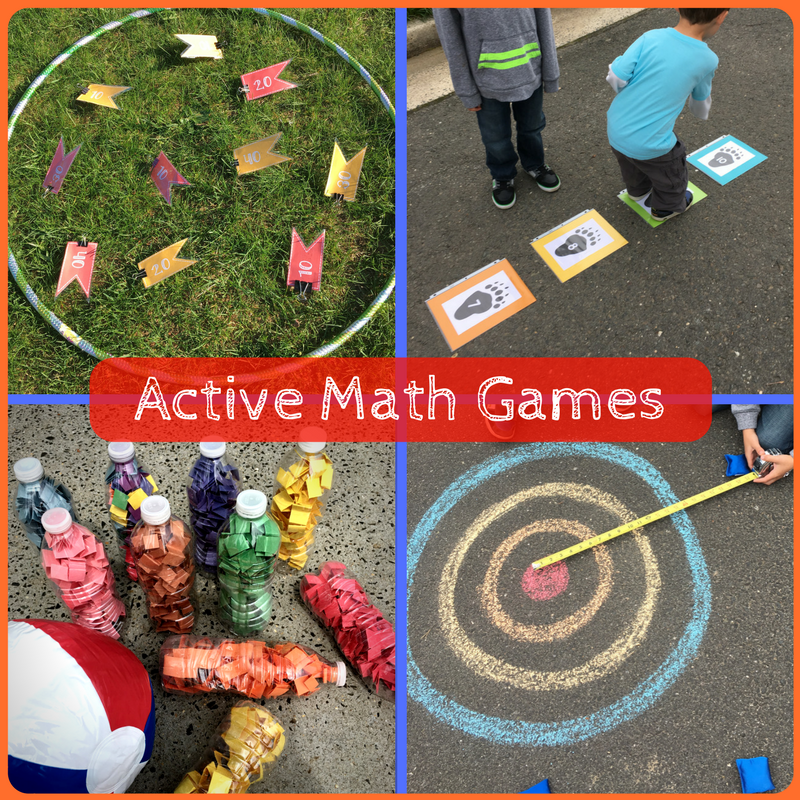 Math on the Move...Sports and Games for Active Kids! Let's start off with a quick exercise. Ready? Okay. Clear your mind and focus on one word: Mathematics. What are you envisioning? Numbers, surely, but what else? In your mind, how are you using those numbers? If you're like many people, the word "mathematics" probably conjures up images of paper, calculators, pencils, and scrap paper. Right? Well, I guess it makes sense since years ago, that's basically what math class entailed. 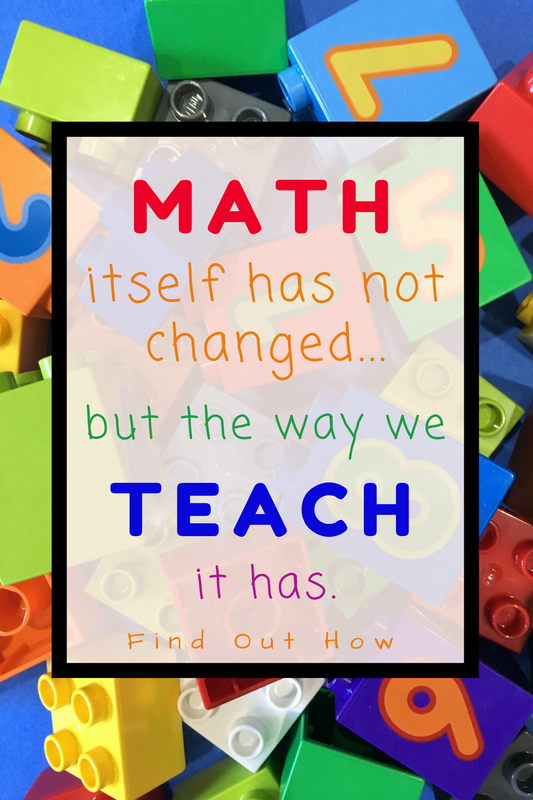 But with time, more teachers are realizing that math doesn't have to be that way, and we sure don't have to teach it that way. Although mathematics itself has not changed, the way we teach it has. A lot. Peek into a math class today and you'll likely find students building, interacting with manipulatives, and doing way more than boring old workbook pages. 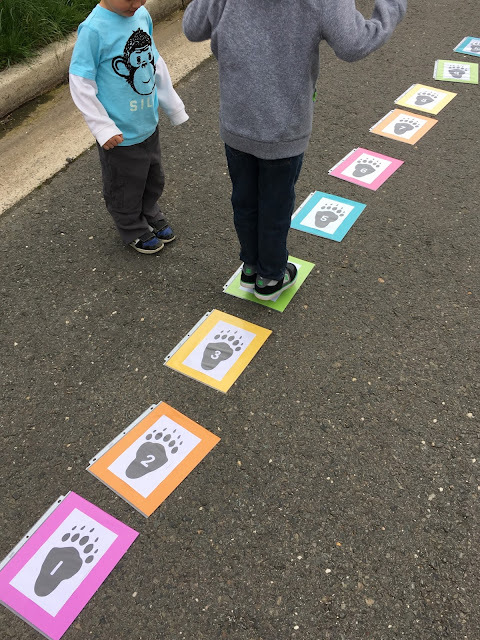 With more hands- on activities, multi- sensory lessons, and flexible seating, I think everyone's starting to realize one thing...Kids like to move. But we already knew that, right? Why make kids be still (and quiet) at a desk all day when all they want to do is go? Let them go. But wait, not yet! Let's harness that energy in a way that can be both productive and educational. Instead of a worksheet with 20 math problems, why not play a game that requires student to practice those same math skills 20 times? Due to increased interest and motivation, students may even complete a game faster than a worksheet, potentially practicing the skill more than they would have on paper. Let's not discount the fact that kids love games. Who doesn't? So if students are motivated to complete a task, won’t they probably get more out of it than if they just complete it because they "have to"? If you said yes, you give yourself a sticker. Research shows that motivation leads to increased effort and persistence with better performance (Paris & Turner, 1994; Rueda & Moll, 1994). If you're currently teaching math, odds are you're already using hands-on materials. But I want to go a step further than popsicle sticks and counter chips for this post. What if you were to combine gym class with your math class? Crazy, right? No, trust me, it's wonderful! Think of a sport or game you'd like to play with your class (Tag, football, basketball, etc). Now think of which math skills you could incorporate into that sport. It could be as simple as a game of Tag where the players count up by five each time someone gets tagged. 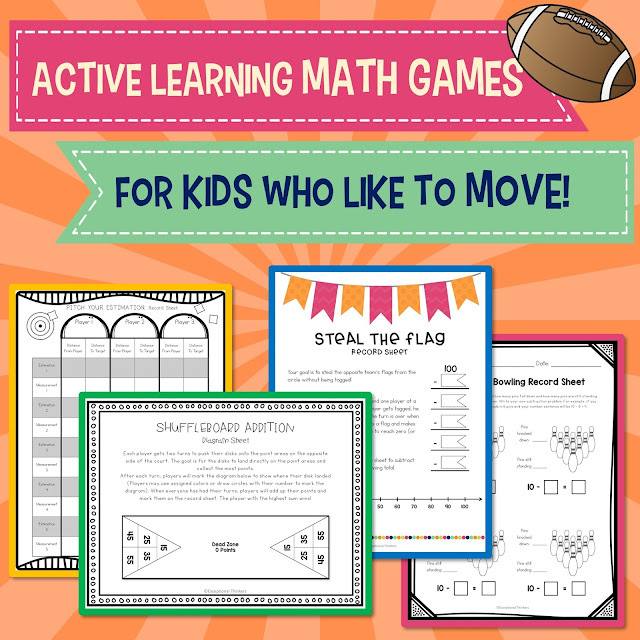 Or maybe you want to get a little more involved (like those in my ACTIVE Learning Math Games resource). Whatever it is, keep them practicing your targeted math skill while moving. You can use games and sports to teach math skills, as brain breaks, review games, and more. They can be a refreshing break from the textbooks! Many children learn better when they use more than just their eyes and ears during math lessons. Hands- on activities encourage students to become more involved with the material and allow them to experience it first-hand. Research shows that children with special needs benefit greatly from multi-sensory activities in the classroom. I’m a special education teacher so I have lots of experience with students with sensory issues, behavior problems, and trouble sitting still. I’ve found that instead of forcing them to fight the urge to move, it is better to just get them up and direct that energy in a fun, positive, and educational path. They just want to go, so I let them go. But we don’t just run around without purpose. They practice skill sets, problem solve, and develop social skills, all while I assess their progress. This doesn’t necessarily always need to take place sitting at a desk. Recently I created a new resource that features a collection of math games, currently available in my Teachers Pay Teachers store, Exceptional Thinkers. I've used these games in my classroom for years and it is my pleasure to now share them with you. (Side note: I'll likely add more games to this resource, so if you like it, be sure to grab it up now before I add to it and increase the price. If you buy now, you'll get the lower price, plus you'll get any of my additions and updates for FREE). If you love the idea of using sports and games in your math class, but don't have the time to plan them out and create the materials, you've come to the right place. Like the idea, but not sure if you want to actually buy it? I totally get it! Why not just get my FREEBIE Shuffleboard Addition Game then! My ACTIVE Learning Math resource targets early elementary math skills such as adding, subtracting, using place value, estimating, and measuring. It features 6 games at the moment (but likely to increase with time), including Steal the Flag, Subtraction Bowling, Making Tracks, Shuffleboard Addition, STEM Tower Challenge, and Pitch Your Estimate. Some of these games are available individually in my store while others are unique to this resource. 1) Motivating for students who are uninterested in traditional classroom lessons. 2) Beneficial to kinesthetic learners. 3) Allows students to experience material or skill first-hand. Oh, and it's fun! So now that the weather is starting to warm up, it’s the perfect time to get the kids outside, throw a ball around…and learn! And maybe you'll get a tan in the process! No complaints there. Now go enjoy your math lessons! Don't forget that if you’re not already following Exceptional Thinkers on Pinterest, make sure to click HERE to do so. You can also find me on Facebook right HERE. And of course, if you’re interested in new products, updates, and freebies, follow me on Teachers Pay Teachers.